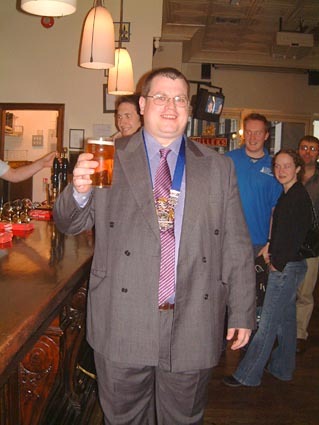 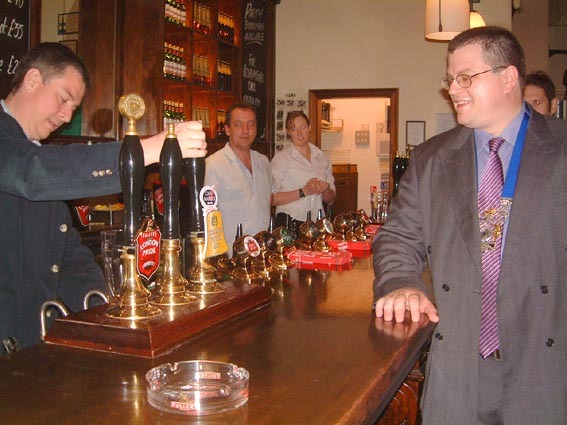 The first pint of College Youths Ale is pulled for the Master. 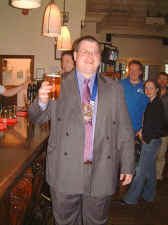 The beer was specially brewed by Fullers for the occasion ... ... and very nice it was too. 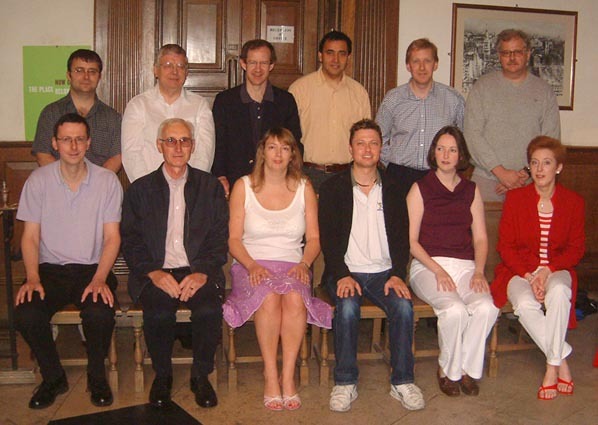 (back row l-r: Mark Humphreys, David House, John Hughes-D'Aeth, Stephen Coaker, Simon Linford, Phil Rogers. Front row: Andrew Graham, David Hilling, Stef Warboys, Dickon Love, Victoria Halliwell, Jo Ainsworth. 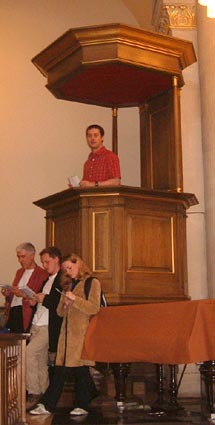 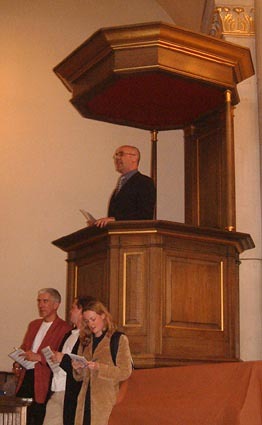 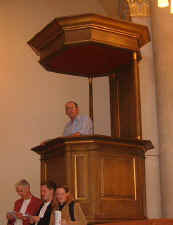 Mark Regan, Chief Judge, speaks from the pulpit. 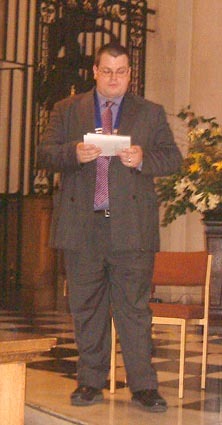 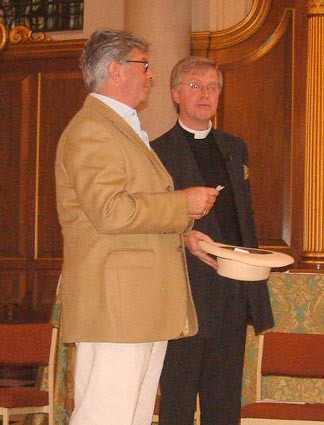 David Hull delivered the individual comments. 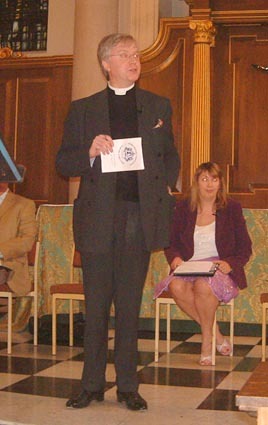 David Dearnley ("this is the closest I think I am ever going to get to Heaven") delivers the results. Birmingham were pronounced the winners. 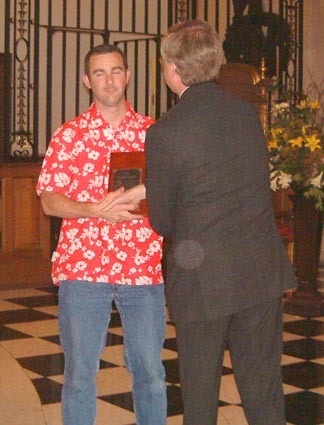 David Pipe receives the Taylor Trophy from George Bush. 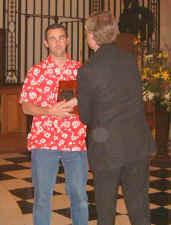 The ASCY came 2nd. 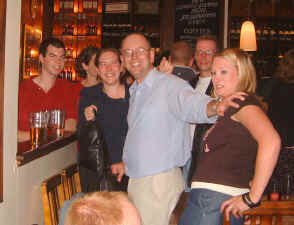 David Hull in the Red Herring afterwards. 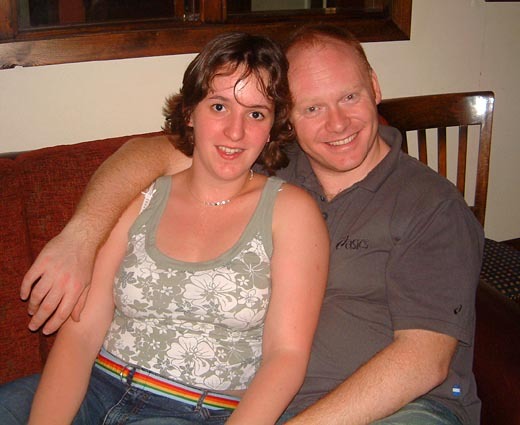 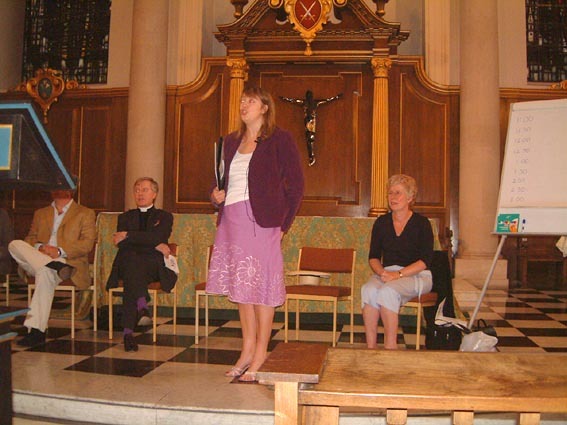 Alice Cattermole and Simon Farrar.